February 2019 was the first month of Tesla Model 3 sales in Europe. Obviously, experts were sure that the sales volume will be high, though in reality it exceeded expectations. 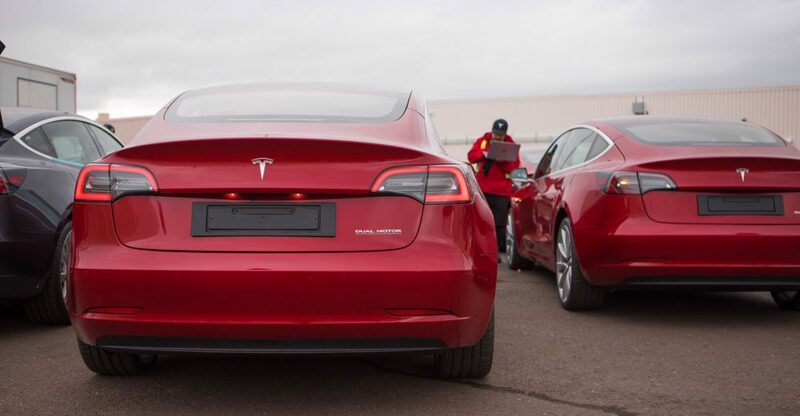 According to the market statistics, in February Tesla Model 3 was the most popular electric car in Europe, outselling even Nissan Leaf and Renault Zoe. The final figure is 3,724 new Model 3 registrations, even though the official sales began in second part of the month. Moreover, the pace of Tesla Model 3 conquering of the market was too high even for the indisputable ICE leaders of a midsize premium sedans segment, like Mercedes C-Class, Audi A4 and BMW 3-Series. All of those cars’ sales volumes were lower.